Every year the Heroes Gala recognizes individuals who have demonstrated tremendous courage, leadership and support of the 2.8 million strong veterans’ community. 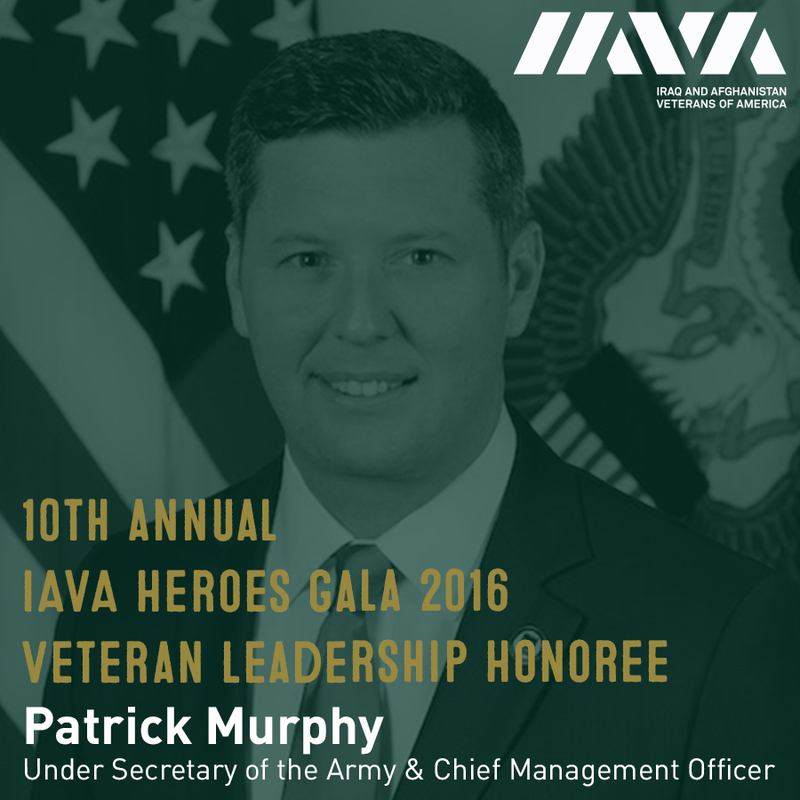 Tomorrow, IAVA will honor and recognize the following individuals for their incredible dedication and contributions to our veterans community: Les Gelb, Ken Fisher, and Patrick Murphy. 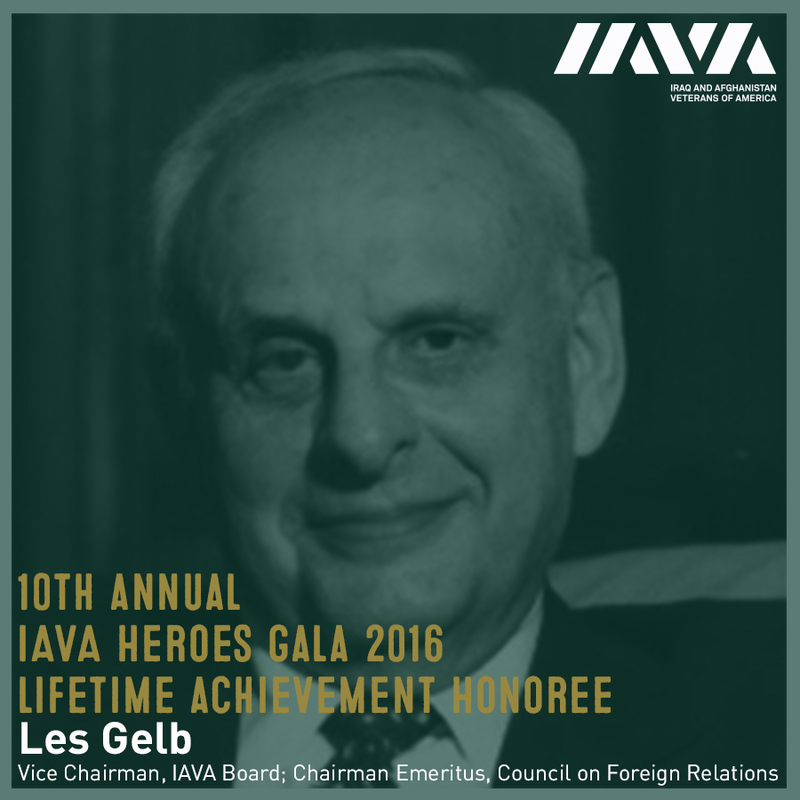 Lifetime Achievement Award Honoree, Dr. Les Gelb has served his country in several governmental positions. Dr. Gelb served as an Assistant Secretary of State for Politico-Military Affairs in the Carter administration and as Director of Policy Planning and Arms Control in the Defense Department during the Johnson Administration. Dr. Gelb also had a distinguished career at the The New York Times holding the positions of diplomatic correspondent, national security correspondent, deputy editorial page editor, editor of the op-ed page and columnist. As national security correspondent, Dr. Gelb was awarded the Pulitzer Prize in Explanatory Journalism. Dr. Gelb has served as senior fellow at the Brookings Institution and a senior associate at the Carnegie Endowment for International Peace. Dr. Gelb has also been a Visiting Professor at Georgetown University and Columbia University. 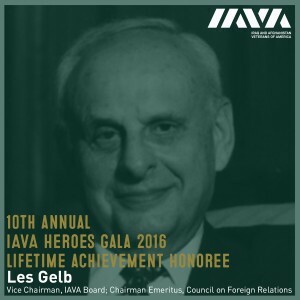 From 1993 to 2003, Dr. Gelb served as President of the Council on Foreign Relations and now serves as President Emeritus and Board Senior Fellow at the Council. 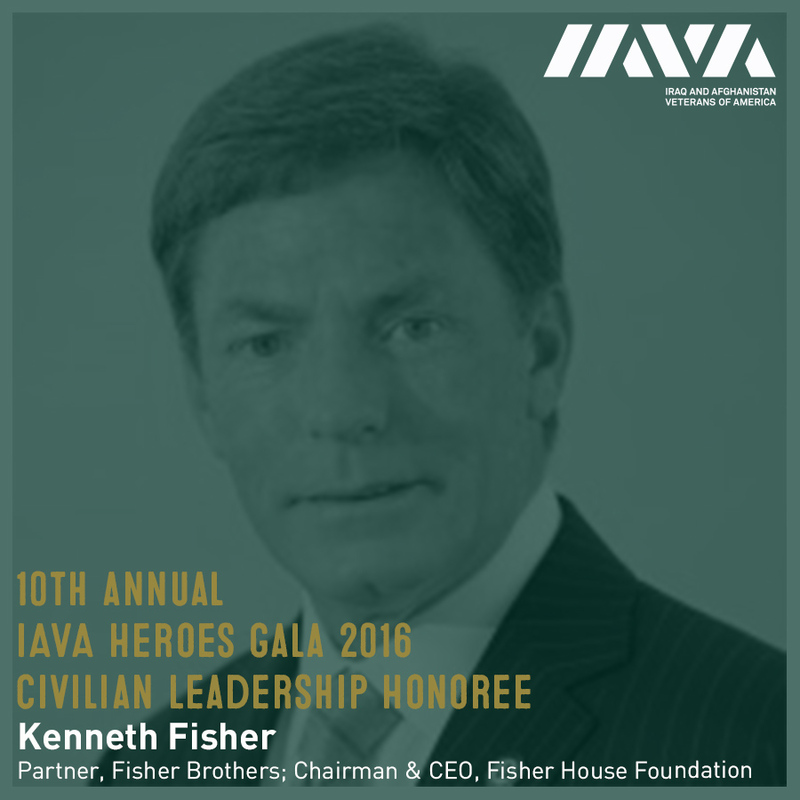 Civilian Leadership Honoree, Kenneth Fisher is a senior partner at Fisher Brothers, based in New York City, and is part of the third generation of leadership, overseeing the leasing, management and marketing of more than five million square feet of class-A commercial space in Midtown Manhattan. 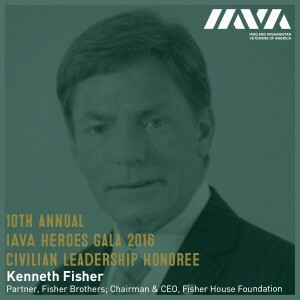 As a philanthropist, Mr. Fisher is Chairman and CEO of the Fisher House Foundation, a not-for-profit organization that constructs “comfort homes” for families of hospitalized military personnel and veterans. The program has built over 60 houses in the United States and Germany, and partnered with the Queen Elizabeth Hospital Birmingham and Help for Heroes to open a Fisher House for British Families in the United Kingdom. Mr. Fisher has been awarded the Department of Defense Distinguished Service Medal, the George C. Marshall Award from the Association of the United States Army, the Decoration for Distinguished Civilian Service and the Secretary’s Award from the Department of Veterans Affairs, its highest honor. 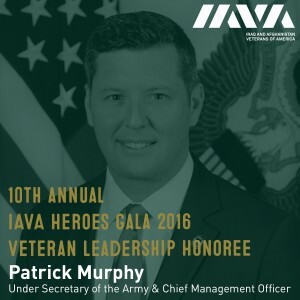 Veteran Leadership Honoree, Patrick J. Murphy was appointed as the 32nd Under Secretary of the Army and Chief Management Officer (CMO) by President Obama on Jan. 4, 2016 and in this capacity leads the management and operation of the Army. His focus is on dynamic and efficient business operations, transforming the Army to be more innovative and responsive, expanding the Soldier for Life initiative, public-private partnerships, and aggressively utilizing social media to tell the Army story to new audiences in a more compelling way. Mr. Murphy served as the first Iraq War Veteran elected to the U.S. Congress, representing the Eighth Congressional District of Pennsylvania. Mr. Murphy has co-authored several initiatives including the 21st Century GI Bill, the Repeal of Don’t Ask Don’t Tell, and Hire Our Heroes legislation. In 2008, he was instrumental in establishing the Washington Crossing National Veterans Cemetery for over 300,000 veterans.